Hello Powell Homeowners! We Have an Offer We Know You’ll Be Interested In! 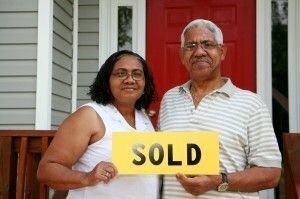 Right now Sell House Columbus is buying properties in Powell and the surrounding areas! We will by any home, at any price, and in any condition! Click here to learn more about our process and the benefits a direct sale can offer you! Have you considered selling your Powell house? If so, get an offer from us right now! There is never any hassle or obligation! Learn about the options that are out there, and make the decision that is right for you! We will work on your timeframe. If you are ready in 7 days, we will be ready too. If you need longer, we will wait and close on the day that works best for you! You will not have to wait around on banks and red-tape. We don’t need to use financing to buy your house, so we are able to pay you fast! You don’t need to deal with commissions or closings costs, repairs or upgrades! We buy as is and we are ready now! Why do you want to sell your Powell home? Listing isn’t the best option for everyone! For some people, it can be stressful and expensive. At Sell House Columbus we believe that it doesn’t have to be. You don’t have to trade speed for a great cash price, you can have both! Our process is straightforward. We make you an offer, you take it or leave it. That’s it. If you accept, we can close in 7 days! Imagine having extra cash in only a week! What could you do? What debts could you pay off? When you accept a direct offer from us, what you see is what you get. There are never any fees or hidden charges. Plus, we buy as is. We don’t require you to make repairs, pay to upgrade outdated fixtures or even clean up! We take care of everything, making the entire selling process a quick and simple transaction. From the very beginning, you will know how much you are getting and when. You pick the day we close! Get in touch with us today! We offer a refreshing alternative to selling your home in the traditional way. We can make you an offer within 24 hours and close in 7 days. We will never hassle you to sell or put you under any obligation! We are convinced that after running the numbers, you will see all the benefits a direct sale can offer you! To get started, fill out this short form and we will be in touch right away! We want to help you reach your real estate goals now! If you have thought about selling your Powell house, let us make you a fair and honest offer today! There’s never any hassle or obligation!